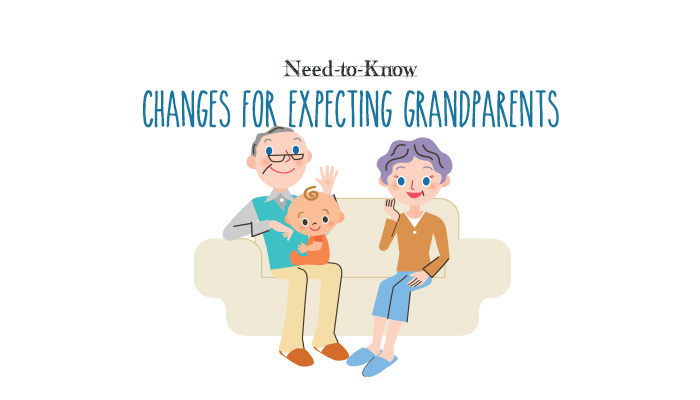 Whether you’re expecting your first grandchild or your third, there are some things that may have changed since you were a parent yourself. It is important to stay on top of the latest changes to ensure your new grandbaby is raised in a safe and healthy environment. Make sure you are familiar with these baby-tending guidelines and safety protocols that have been updated! While nap time is best spent on their backs, tummy time is ideal for developing strong muscles and proper symmetry of the head. This helps to prepare babies for the time when they will be able to slide on their bellies and eventually crawl. Remember tummy time is for babies who are wide awake and being watched. Start with very short periods of time ranging from one to three minutes. Increase the amount of time as the baby becomes older and more comfortable. Swaddling is a technique that has been used for years to sooth a crying baby and help him/her sleep better, but a few things have changed. For starters, swaddling is okay when using a specially-designed blanket for swaddling called a Halo sleeper. Swaddling with a normal blanket is fine for comforting a baby who's awake, but not for sleeping. Additionally, recent research has shown swaddling can lead to overheating. To prevent overheating, keep the room at a comfortable temperature between 68-72 degrees. Swaddling can also become dangerous once a baby is able to intentionally roll over, so it is recommended that babies over two months not be swaddled. Swaddle sacks can be used instead of a swaddling blanket if your grand baby attempts to roll over while being swaddled or prefers to have his/her arms out. Exposure to solid foods shouldn’t start before the age of six months as introducing solid foods at an early age may put babies at risk for developing food allergies later in life. Minimize the risk by waiting till they're at least six months old. Another outdated practice is adding cereal or rice to a bottle to help a baby sleep through the night. A baby's digestive system is not prepared to process cereal until about six months of age, so cereal should only be introduced when the baby is ready to eat it from a spoon. Additionally, feeding cereal through a bottle increases the risk of gagging or inhaling the thickened mixture into their lungs. Tooth decay develops when a child's teeth and gums are exposed to any liquids or foods other than water for long periods. The most common way this happens with babies is when they are put to bed with a bottle of formula, milk, or juice (even diluted). Not only does this expose your child's teeth to sugars, it can also put your child at risk for ear infections and choking. Avoid baby lotion or powder in the first several months of a baby's life. Their skin is too sensitive at this time. Additionally, recent studies have indicated that talc or cornstarch in baby powder can injure a baby's lungs. Decorate the room, and not the crib. This includes comfort items of any kind like bumper pads, soft bedding, stuffed animals, pillows or blankets. Another huge no-no is using a crib with drop down sides. While these used to be acceptable, they are dangerous and should be discarded. Make sure the crib you are using complies with new safety standards before putting your grandchild down for a nap. Most baby boomers can attest to the changes in car safety. In the past, parents would drive home from the hospital while holding the newborn in their arms. Now, it is important to understand a child must always be properly strapped into an age- appropriate car seat. Here are the State of Iowa rules you must know today. Children under two years of age who weigh less than 20 pounds must be secured in a rear-facing child car seat. For the best possible protection, keep infants in the back seat (the middle seat is the safest) in a rear-facing child safety seat, up to the height or weight limit of the particular seat or until age two. When installing any car seat in a vehicle, use either with latch or seatbelt, not both and always read both the car seat manual and vehicle manual when installing a safety seat. Also, it’s important to remember car seats are for traveling, not sleeping as it can lead to asphyxiation. 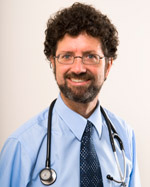 "We would always encourage babies and toddlers to be sleeping in a bed, the car seat is not in the proper position," said Dr. Timothy Horrigan, clinic physician at UnityPoint Health - Allen Hospital, in an interview with KWWL news. "Car seat asphyxiation is most of the time due to where the strap lays across the baby - they can struggle because it'll restrain their neck or hold their chest too tightly," explained Dr. Horrigan. As equipment and best practices change, it is important to learn the best ways to keep our babies safe and protected. However, some things never change! One of these is giving your baby the love they deserve and need. Did you know limited touch during the first weeks in early life leads to an underdevelopment of serotonin receptors, endogenous opioids and oxytocin—the chemicals that are related to happiness? So hold your new grand baby to help him/her develop! UnityPoint Health - St. Luke’s Hospital Whether you're just starting to plan or getting ready to meet your new grandbaby, St. Luke's is here with the resources and support you and your loved ones need to feel prepared! Geared specifically to expectant and established grandparents, our “Becoming Grandparents” class is a great source for additional learning! For more information, e-mail us or call (319) 369-7264.UnityPoint Health - Allen HospitalAllen Hospital offers a variety of informational childbirth education classes to help prepare expectant families. Our goal is to help provide up-to-date information in a relaxing environment. Check out our upcoming classes, or contact us for more information by calling (319) 235-3620. UnityPoint Health - Finley Hospital At Finley, we offer maternity services for the whole family - including grandparents! We offer the resources that moms, dads, siblings and grandparents can use to prepare for growing families. Find a complete list of classes here, or learn more by calling (563) 557-2837.